We are a team of nine Mission San Jose and Hokpins Junior High students based in Fremont, California. 7 years ago, our team began participating in FIRST through FLL. With the hard work, and undying support of our families, friends, and sponsors, our team gained the knowledge and experience needed to become a competitive FTC team. This is now our fifth year of FTC, where we have built on the knowledge we amassed from our previous seasons to become one of the top teams in the Western States. Our mission is to use FIRST as a vehicle to spread STEM, and all of its forms, in our community to help humanity through the expansion of robotics awareness. ​​This is my 8th year doing robotics with FIRST. I am an 11th grader going to Mission San Jose High School and I am leading this robotics team this season. Outside of Robotics and School I love to program and spend lots of time programming and exploring new computer science topics. I also participate in my school's Science Olympiad team where I have consistently won medals at the state competition. Lastly I am on my school's Cross Country team where I enjoy running and improving my skills. I enjoy running half marathons outside of the school team and truly love the sport. Coming back to robotics I am excited to lead this team and help it grow. I am excited for the upcoming season! I am a FIRST veteran, having 2 years of prior FTC experience, currently the Hardware Lead of the team. I am a Junior at Mission San Jose High School. I have similar engineering-related hobbies such as competitive programming and making Legos. I also favor STEM-related subjects such as Calculus, Physics, and Chemistry. In fact, we are using some applications in the robot from my classes such as PID which uses differentiability and integration. However, I have other interests such as basketball and basketball fantasy. I hope that my experience and skills will help teach some of the rookies in our team so that they can work on the robot independently and hopefully use the lessons in the future. ​This is my 5th year in the First Program. 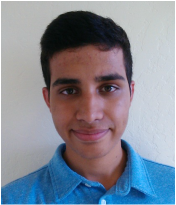 I am currently a 10th grader attending Mission San Jose High School and am a hardware specialist on the team. For fun I enjoy playing soccer, reading, and playing video games. First provides me with several opportunities to dive into STEM and expose me to new skills to help me succeed at future careers. Being in a team builds confidence and teaches me to work with others. I started doing FLL in 4th grade and now I am participating in FTC for the first time and am excited to experience what it is all about. This is my second year in the FIRST Program. I am currently a 12th grader attending Mission San Jose High School. Last year, I served as a team mentor for an FLL team. FIRST has taught me the importance of STEM and has encouraged me to pursue a career in computer science. This is my 6th year in the First Program. I am a 9th grader attending Mission San Jose High School. I have done FLL for 4 years and qualified to Regionals there every year. FLL at first was not very interesting but once I started getting the hand of it, I fell in love with robotics. 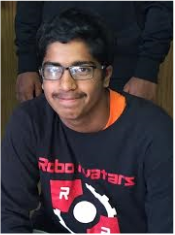 FIRST has been a way for me to connect with a lot of aspects of my community as well as to give me an exposure into the world of robotics. In 8th grade I decided to step it up a level and join an FTC team. I joined the RoboAvatars and my role on the team was to help on the hardware aspect of things while learn more about how FTC works. This being my Second Season of FTC with the RoboAvatars I am determined to take a bigger role in the team. This Season I lead the Outreach&Sponsorship aspects of our team, I am the main driver on our team, and I continue to contribute on the hardware aspects of our team. I cannot wait for another amazing season of Robotics with FIRST. I have been in FIRST for about 4 years. I am currently in 9th grade. Some of my hobbies aside from robotics are playing basketball and video games. FIRST is fun to build a robot capable of being autonomous and controllable. FIRST gives skills like cooperation, teamwork, and STEM. This is currently my first year in FTC. FTC is very fun and also teaches lessons crucial to advancement in the long run. I enjoy designing the robots. The teammates are very nice and cooperative. I think we will go far in the competition and we will carry this knowledge for the rest of our lives and career, and hopefully pass it along to the next generation. I have been in FIRST for about 5 years. I am in 8th grade at Hopkins Junior High and am excited to participate in FTC. 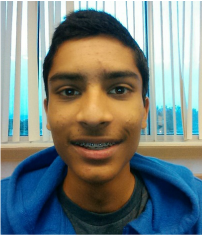 Some of my hobbies include doing robotics, playing video games, and playing basketball. I think I will learn a lot from FTC like advanced robotics, making friends, and teamwork. This is my first year in FIRST. I am currently in 9th grade. Some of my hobbies other than robotics are playing table tennis and the guitar. FIRST encourages teamwork and it is interesting to see how the robot is being built. FIRST also teachers kids around the world about robotics, teamwork, and other skills which will be vital in the future. I have been a part of the FIRST program for around 5 years. A few of my hobbies are doing robotics (obviously), playing soccer, and playing video games. FIRST gives us a fun and challenging experience through robotics. Throughout the 5 years that I have partaken in FIRST, I learned about robotics, good citizenship skills, gracious professionalism, teamwork, and much more. As I was attending the FLL and FTC challenge, I was obtaining valuable skills that have led me to who I am today. 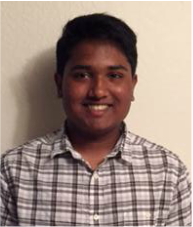 I am currently an 11th grader attending Mission San Jose High School, and this is my 3rd year of FTC. After attending this year’s kickoff, I have understood that teamwork and hard work is key this year. Overall, my years with FIRST have been inspiring, fun, and educational; and I hope that I continue to learn in my next few years in FIRST. My name is Gaurika Duvur and I am a 11th grader at Mission San Jose High School in Fremont, California. This is my first year competing in FTC with the RoboAvatars, and my second year with FIRST. Being a part of this team has proven to be a catalyst, motivating me to learn and grow. 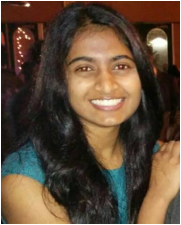 I have gained leaderships skills as outreach coordinator, and have gained vital programing and engineering skills by programming for the team. I hope to continue to gain more skills, and become the most capable person I can be. Outside from Robotics, I devote time to TARC (Team America Rocketry Contest) and Girl Scouts. In both I have found ways to apply what I learn in FIRST. When I have time to spare I appreciate listening to music, writing, and reading. I am a huge film buff, and enjoy feeding this guilty pleasure, indulging in films no matter how obscure, whenever time permits. Since being a part of FIRST, I have learned just how pervasive robotics is in everyday life. The principles of robotic engineering play a part in medicine (surgery), geriatrics, environmental science, neuroscience, and more. I hope that after I graduate in two years, I can apply what I have learned in FIRST to make a positive impact in the world. My name is Suraj. I have been in the First program since 6th grade. I am 16 years old and currently a junior at Mission San Jose High School. Some of my hobbies, apart from robotics, include playing soccer and learning taekwondo. In my free time, I like listening to music and playing video games. I joined my robotics team because i wanted to have fun with other kids my age while building robots. I love working with technology, and robotics allows me to do so. Watching the robot move and perform tasks, I feel a sense of satisfaction because I helped create it. On competition days, it is also very interesting to see what other teams came up with, and continue to hone our skills. Throughout the past 2 years of being in FTC, I learned about robotics, teamwork, gracious professionalism, and more. FIRST has also given me the opportunity to meet new people and learn just how important teamwork is. I am 16 years old and have been participating with FIRST since I was 11. My experience started in FLL where I competed with my fellow team members for 3 years. Our team had a rough start the first year, but in the subsequent years we did extremely well. I have loved participating in robotics because I can learn to make things and have them do what I want through programming. Although robotics is one of my favorite activities I also have many other hobbies. I have done karate for a number of years and am a third degree black belt now. I also play saxophone in my school band. Doing robotics has helped me learn, help others, gain leadership skills and many more things. This is my third year in FTC and I hope to help other teams that are competing and have a great season ahead for my team.